Take this convenient, pocket-sized guide out in the paddock with you or leave it in your glovebox, ready to refer to. It’s a quick guide for identifying insect pests and diseases commonly encountered in the orchard. 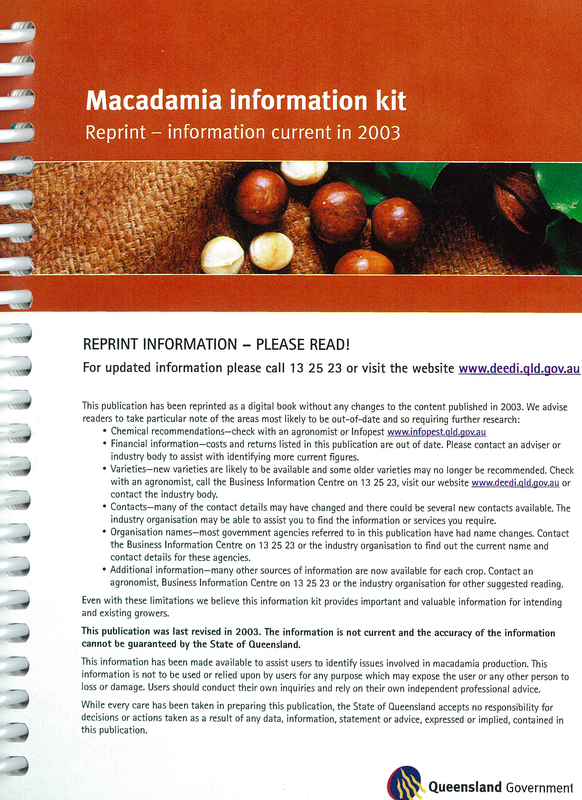 Recommended to be used in conjunction with the Macadamia Grower’s Handbook.